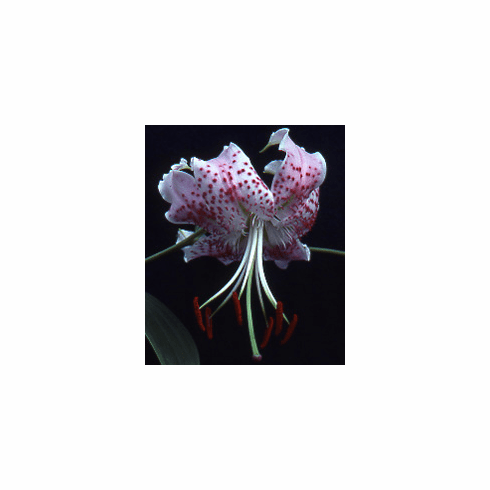 Inset photo #1 is of Lilium speciosum var. 'Wing Dancer', a selection of the late Leslie Woodriff. Photo insert #2 is the named selection of a very early flowering form '4th of July'. Photo courtesy of and copyright by Pontus Wallsten, all rights reserved. Used with permission.